Bromley BR End of Tenancy & Move out Cleaners | Quality Property Care Ltd.
Order expert end of tenancy cleaning right away! Don't waste more time and let the diligent domestic and business end of tenancy cleaners to show you what real purity is. Get in touch with us on 020 3746 4287 to get more details today! Our clientele support operators will give you all the necessary details you need to know! In the lavatory we clean taps and fittings, remove all lime scale and clean, the soap dispenser is cleaned out, the rad and towel racks are also cleaned and left to dry. The shower screen and tiles are cleaned completely, the bathroom and rest room, bidet and shower cubicle are washed pristine, then wiped dry to avoid mold growth, all limescale is taken out and the tiles are scrubbed clean after that dried out with a dry wash cloth or paper. We clean out cabinets and storage, we clean inside eliminating any remaining food and packages. Expired food items we throw away one that is still usable we put aside for the customer or donate to a shelter close by. Marks around the handles are removed and unwanted items are thrown away. The trash bin is dusted as well as cleaned up on top and under, the soap dispenser is also cleaned. The sink is washed and drained then wiped dry. We thoroughly clean and dry the wall tiles all over the sink, whilst also removing food and grime deposits all-around the sink if any. We also treat the kitchen appliances inside and out, getting rid of food deposits. To prevent fungal growth and remove odours we employ anti-bacterial detergents with long lasting effects not having any harmful outcomes on individuals or pets. Kitchen devices like microwaves, ranges, toasters and so on are cleaned thoroughly as well, each finished properly and with intent to do a high-quality job. The oven is cleansed, degreased with its range, hob and bbq grill property dealt with, the grill pan and oven racks are cleaned, the internal top of the oven receives a special treatment, the rubber seal is easily wiped and cleaned and we move the oven to clean behind it if required. The microwave is leaned inside and out, as well as on the top, any chemicals utilised to clean and remove food deposits is wiped away and completely washed, the rubber seal is examined and the oven is clean on top and beneath. We won’t neglect even the smallest of details, your toaster is cleansed from any leftover crumbs, its wiped clean if needed. Kitchen appliance - refrigerator, freezer, dishwasher, washing machine, microwave, oven, toaster - clean inside and out, removing oilish stains, and removing any residue. 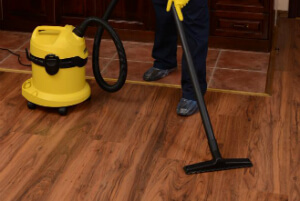 Don`t forget to make a reservation for our excellent end of tenancy cleaning service. We provide specific discount rates on early booking! Get a free quote today! Dial 020 3746 4287 now - we are flexible and understanding and we will make you an appointment in a most comfortable for you time!